Size: Lavender - Other sizes available. Size: Pomegrante - Other sizes available. Botanical Diffusers are the newest and most beautiful way to scent up a room! Diffuser comes with Botanical reeds that you place into the glass bottle that is filled with the fragrance. The reeds allow the aroma to evaporate into the air. Scentual Expressions makes a great gift for anyone. Size: Wisteria - Other sizes available. Botanical Diffuser - Wisteria - Botanical Diffusers are the newest and most beautiful way to scent up a room! Diffuser comes with Botanical reeds that you place into the glass bottle that is filled with the fragrance. The reeds allow the aroma to evaporate into the air. Scentual Expressions makes a great gift for anyone. Size: Ocean Breeze - Other sizes available. Botanical Diffuser - Ocean Breeze - Botanical Diffusers are the newest and most beautiful way to scent up a room! Diffuser comes with Botanical reeds that you place into the glass bottle that is filled with the fragrance. The reeds allow the aroma to evaporate into the air. Scentual Expressions makes a great gift for anyone. Size: Gardenia - Other sizes available. 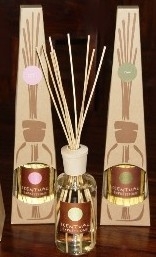 Botanical Diffuser - Gardenia -green label Botanical Diffusers are the newest and most beautiful way to scent up a room! Diffuser comes with Botanical reeds that you place into the glass bottle that is filled with the fragrance. The reeds allow the aroma to evaporate into the air. Scentual Expressions makes a great gift for anyone. Size: Chula Orchid - Other sizes available. Botanical Diffuser - Chula Orchid - Botanical Diffusers are the newest and most beautiful way to scent up a room! 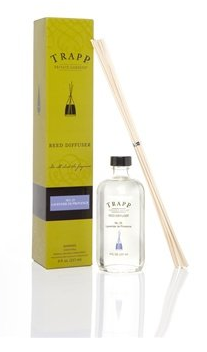 Diffuser comes with Botanical reeds that you place into the glass bottle that is filled with the fragrance. The reeds allow the aroma to evaporate into the air. Scentual Expressions makes a great gift for anyone. Size: Jasmine - Other sizes available. 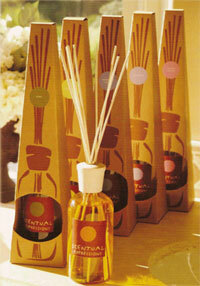 Botanical Diffuser - Chula Jasmine - Botanical Diffusers are the newest and most beautiful way to scent up a room! Diffuser comes with Botanical reeds that you place into the glass bottle that is filled with the fragrance. The reeds allow the aroma to evaporate into the air. 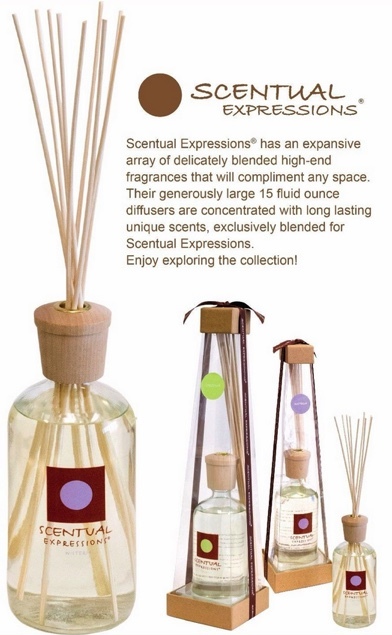 Scentual Expressions makes a great gift for anyone. Size: Bamboo Leaf.. - Other sizes available. 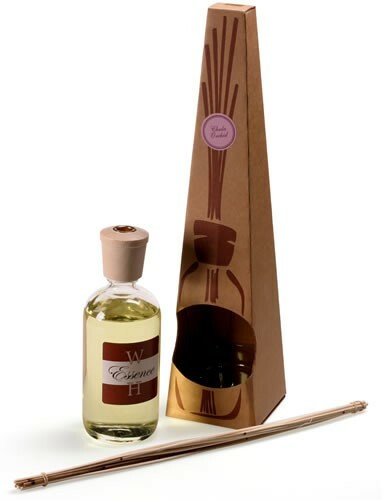 Botanical Diffuser - Bamboo Leaf - green label Botanical Diffusers are the newest and most beautiful way to scent up a room! 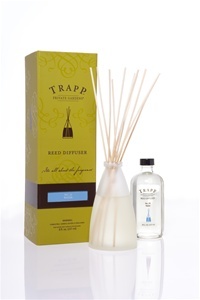 Diffuser comes with Botanical reeds that you place into the glass bottle that is filled with the fragrance. The reeds allow the aroma to evaporate into the air. Scentual Expressions makes a great gift for anyone. 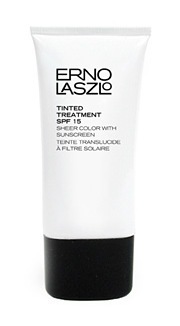 Size: Vanilla - Other sizes available. Size: Fresh Rose - Other sizes available. Size: Welcome Home - Other sizes available. 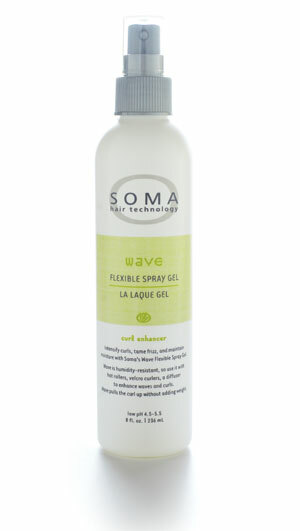 Size: Lemongrass - Other sizes available. No. 8 Fresh Cut Tuberose - 8oz. Reed Diffuser Kit: A tropical white flower with an intense, heady floral fragrance suggestive of a gardenia only more powerful and memorable. Crisp citrus notes extracted from Asian lemongrass complemented by Brazilian verbena and softened with base notes of vanilla. A fresh, fruity, unforgettable blend of red and black currant. You can never get enough… ideal for every room in your home. No. 20 Water - 8oz. 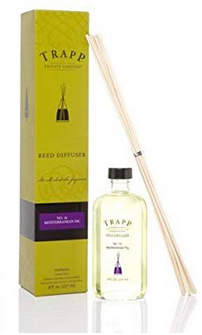 Reed Diffuser Kit: The ozonic, watery notes provide a real WOW. Sophisticated and clean, with a fresh and energizing spirit. Classic, sophisticated and stylish. An exquisite combination of the timelessness of jasmine and the heart notes of gardenia with a hint of honeysuckle top notes.